This adorable t-shirt from our friends at Mayoral is a summer delight- perfectly complimenting the tone of the season with its fresh and cheerful design. Whether your little one is off to a party or having a cosy day at home, this top will look amazing for any occasion! Beautifully designed in a soft cotton jersey fabric, the enchanting silkscreen makes this a charming, unique and stunningly beautiful piece that your little one can wear any time, any place, and always look totally incredible. 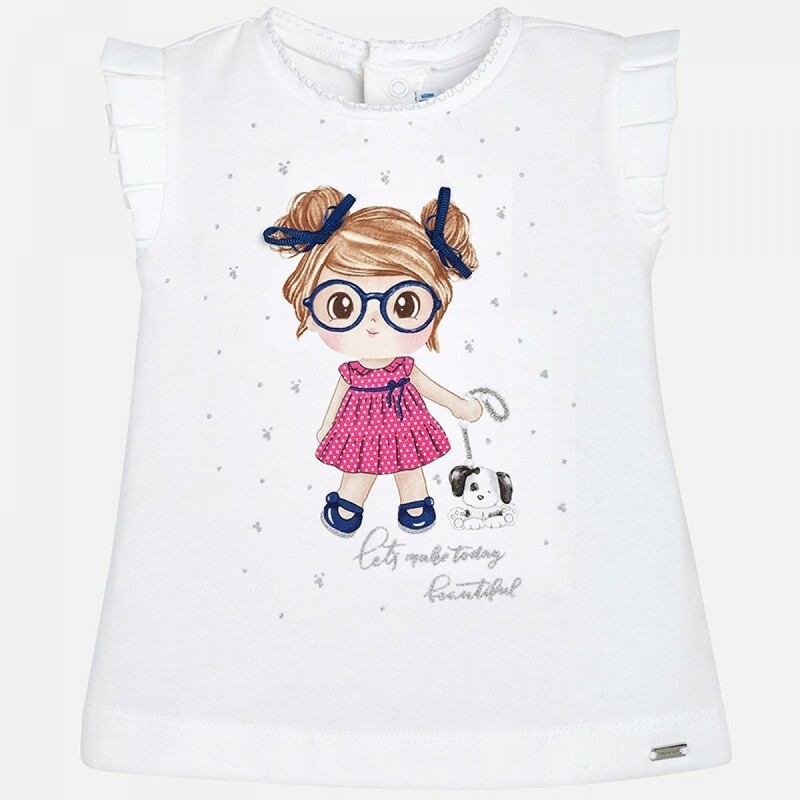 We love the genuinely gorgeous details- the effortlessly stylish neckline- topped with a biscuit stitch-and silkscreen create a feminine and elegant style which we're sure your little princess will love. It's easy to mix and match - just pair with jeggings or a summer skirt to complete the look!